Home > Financial > The Insurance Act 2015: The changing face of insurance? The Insurance Act 2015 has recently received royal assent. This means that it will now become law, with effect from August 2016. The new legislation will only apply to policies commencing or renewed after August 2016. Extended duty for policy holders to disclose any potential new claims when taking out an insurance policy or at policy renewal. Reduced ability of insurers to decline cover, with more proportionate remedies put in place. The Insurance Act 2015 creates a "duty of fair presentation". This means that those requesting insurance must fully explain to insurers the risk that they are asking them to insure. The new duty requires policy holders to undertake a reasonable search to check if there are any issues that should be disclosed. There is also a duty for underwriters to be more pro-active in asking questions about potential claims. If you work for a business, your employer may ask you if you have received any complaints. You may even be asked to sign a declaration to this effect so that the firm can prove that they undertook a reasonable search. Whilst this new duty will largely affect businesses rather than individuals, expect all insurers to be more cautious. It is likely that you will be asked a lot more questions when taking out any insurance and will have to sign a "no claims" declaration. Therefore allow yourself longer to arrange any new insurance or insurance renewal. Retro-active dates are commonly used in business policies but may become more commonplace in individual insurance policies. What is a retro-active date? This is a date printed on your policy. Any claim made during your policy term that relates to an event that occurred before the retro-active date will not be covered. It is essentially a way of insurers avoiding having to cover claims arising out of events that occurred before the policyholder took out the insurance. Currently, if you do not make your insurer fully aware of any potential claims before taking out or renewing your insurance policy, they could refuse to provide insurance cover in respect of those matters should they develop into a claim. Under The Insurance Act 2015, insurers have to utilise more proportionate remedies in this situation. The remedy will depend upon what the insurer would have done had you properly told them about the risk. Her partner John who has a conviction for driving under the influence of alcohol and currently has 9 points on his licence. Her son Ben who is 30 years old and passed his driving test 1 month ago.She did not declare John's driving history or that Ben had only recently passed his driving test when taking out the policy. Decline to cover the claim if they can show that they would never have accepted the risk and provided insurance in those circumstances (perhaps in respect of John). The Act does not affect the right of insurers to avoid the policy altogether (ie return your premium and not provide any insurance) if the non-disclosure can be shown to be deliberate (perhaps to try to obtain a lower insurance premium) or reckless. A warranty is a specific term of a policy designed to reduce risk to the insurer. For example, contents insurance policies regularly include a term to not leave your house unattended for over 30 days. For policies caught under the Act, Insurers won't be able to decline cover for a breach of warranty if in the particular circumstances of the claim, the breach did not increase the risk of loss. Reeta's home insurance policy states 'Do not leave your house unattended for over 30 days.' Reeta returns home from a 40 day trip around Europe and discovers that she has been burgled. Her neighbour noticed the smashed rear patio door the day after she left for her trip. In this scenario, it made no difference whether Reeta had been away for 30 days or 40 days, as she was burgled after 1 day. Therefore whilst Reeta breached the terms of her home insurance policy, her breach did not increase the risk of the burglary which occurred after just 1 day's absence. The new Act suggests that in this situation, her home insurers would not be able to decline to cover the claim. 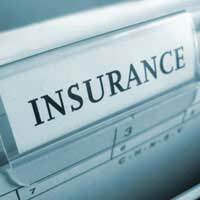 It will be possible for insurers to contract out of the terms of The Insurance Act 2015. However they are not allowed to impose terms that put consumers in a worse position, and so it seems unlikely that insurers will do so. They will however likely be much more cautious about the risks that they insure going forwards. Allow a third party to bring a claim directly against a liability insurer whose policyholder has become insolvent, without first obtaining a judgment against the policyholder. Give greater rights for claimants to find out if a company has insurance before issuing a claim.